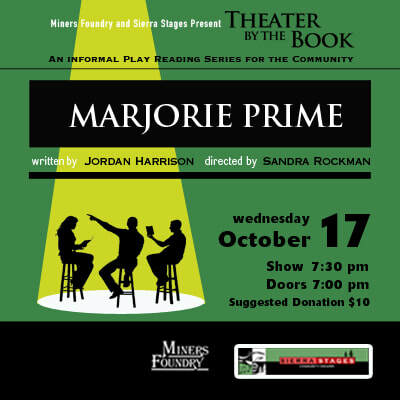 THEATER BY THE BOOK is our series of informal play readings at the Miners Foundry. We schedule five or six readings throughout the year and present a wide range of works. An archive of the readings may be found here. The director and actors come together and rehearse for a short time. There is no scenery, no costumes, and minimal staging. 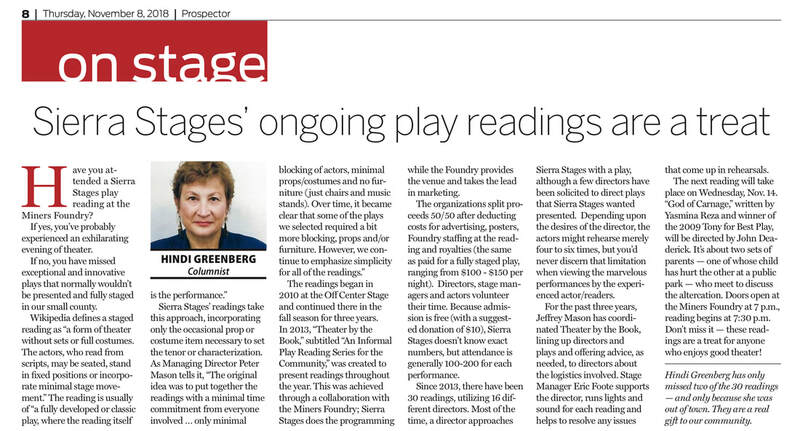 Check us out and expand your theatrical horizons! 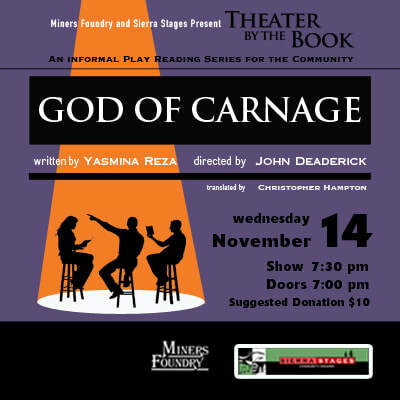 ​​Admission to Theater by the Book is FREE, with a suggested donation of $10. Most audience members make a donation at the door. Advance tickets are available through the Miners Foundry.